Until the 1950s most ketchup was made directly from fresh tomatoes, combined with vinegar, sugar, and seasonings. Manufacturers now have replaced fresh tomatoes with tomato concentrate. Subsequently, ketchup manufacturers have replaced the sugar with regular corn syrup and high-fructose corn syrup. Some manufacturers have replaced vinegar with acetic acid. Ketchup, which once was seasoned with fresh onions, is now made with onion powder. Many ketchup manufacturers now add artificial flavorings to make up for any deficiency in the other ingredients. These substitutes have lowered the costs of making ketchup, and most unaware consumers are unable to detect any difference in taste. Too often, the store-bought versions are loaded with extra salt, sugar, allergens, and preservatives, and they end up bland and uninspiring. But you don’t have to limit yourself to the same tastes and the same plastic bottles. 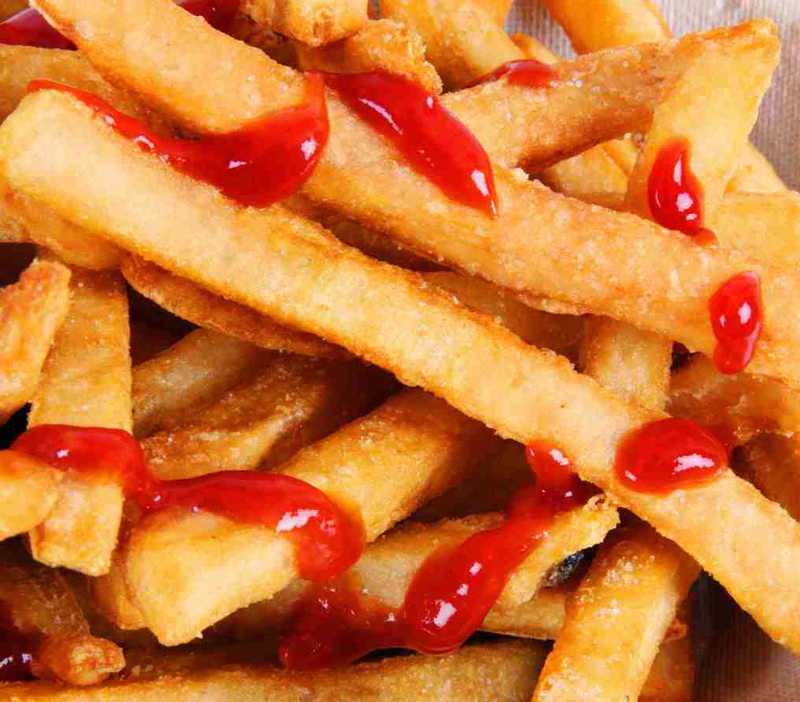 Make your own ketchup fast and easy. This quick homemade ketchup from fresh tomatoes recipe uses a stovetop smoker to infuse fresh tomatoes with a deep smoky flavor. Stovetop smokers can be found at kitchenware stores or at Amazon.com for less than $50 and are great for smoking fish and meats right on your stove. If you don’t have a smoker, you can smoke the tomatoes on your outdoor grill by adding wood chips to the grill. I use hickory chips for the distinctive smoky flavor. Highly rated professional chefs recommend that an outstanding ketchup is properly thick and smooth, with well-blended sweet, sour, and salty tastes. Good ketchup should dissolve quickly in the mouth, leaving an appropriate coating and no inappropriate aftertaste. Thinner ketchups lacked flavor since they left slightly less coating on the mouth and did not 'stay in the mouth long enough to be fully tasted. 1) Bring a large pot of water to a boil and fill a large bowl with ice and cold water. 2) While the water is heating, prepare the tomatoes by using a paring knife to cut out the cores, and cut an X in the skin on the bottom of each. Working in batches if necessary, immerse the tomatoes in the boiling water for 1 minute, then immediately plunge them into the ice water for 1 minute. 3) When the tomatoes are cool enough to handle, peel the skin — it should come right off. Quarter the tomatoes and use your fingers to scoop out the seeds and pulp. 4) To smoke the tomatoes, place the hickory chips in the bottom of a stovetop smoker, and then cover with the drip tray and food rack. 5) Arrange the tomatoes in a single layer on the rack. Cover and cook over medium-low heat for about 15 minutes. Remove from the heat, and let rest about 5 minutes. 6) Transfer the tomatoes to a saucepan and add the shallot, vinegar, celery seeds, and 2 tablespoons brown sugar. Simmer uncovered for about 2 hours, stirring occasionally and breaking up the tomatoes with a spoon, until the sauce has thickened and reduced. 7) Let cool for about 10 minutes, and then pass through a food mill fitted with a medium disc and set over a bowl. Discard any solids that are caught. 8) Return the pureed mixture to a clean saucepan; add the cinnamon, allspice, salt, and remaining 1-1/2 teaspoons brown sugar. Bring to a simmer over medium heat, then reduce the heat to low and let simmer, uncovered and stirring occasionally, for 30 minutes to 1 hour, until reduced by half and very thick and dark red. 9) Let it cool, then spoon into sterilized glass jars. 10) The ketchup will keep in the refrigerator for up to 4 weeks. Ketchup vs. Catsup: What's the Real Difference? Catchup, Catsup, or Ketchup? Where did the word catsup and ketchup come from? Ketchup and catsup are simply two different spellings for the same thing, a modern and westernized version of a condiment. The term used for the sauce varies. 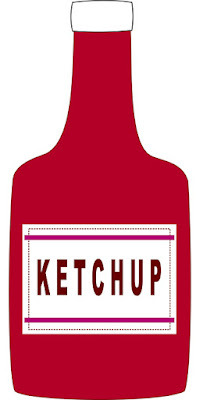 Ketchup is the dominant term in American English, and Canadian English, although catsup is commonly used in some southern US states and Mexico. The word entered the English language in Britain during the late 17th century, appearing in print as catchup (1690) and later as ketchup (1711). The etymology of the word ketchup is unclear with multiple competing theories. In America, Isaac Riley, editor of the 1818 edition of The Universal Receipt Book, believed that ketchup was the correct spelling. According to Riley, catchup was a vulgarization, and catsup was simply an affectation. In the twentieth century American chemist and physician Arvil W. Bitting, husband of the chemist and culinary bibliographer Katherine Golden Bitting, also believed that the correct spelling was ketchup. According to Bitting, catchup was based on the erroneous idea that ketch was a colloquial form of catch. Bitting maintained that there was no warrant for the catsup spelling, although he admitted that catsup was the term used by the majority of manufacturers. Until a few decades ago, catsup was the preferred spelling in many dictionaries. Today ketchup clearly is in the ascendancy, and is the clear choice of lexicographers and manufacturers. Perhaps due to this etymological imbroglio, ketchup is among the few commonly eaten products with no agreed upon spelling. Ketchup, catchup, or catsup continues to be used today, but other similar spellings have been employed over the years. As the Domestic Chemist pointed out in 1831, these words "indicate a sauce, of which the name can be pronounced by everybody, but spelled by nobody." Over the past two centuries food commentators have presented cases for particular "correct" spellings of the word. Lancelot Sturgeon believed that catsup was the proper spelling, but he humorously protested against it, wondering why a "sup" for an epicure should "be termed a sup for a cat." Sturgeon postulated that catch-up, meaning ''to snapup" or "to swallow eagerly," was more "consistent with orthoëpy and probable derivation." William Kitchiner, a British physician and prominent cookbook writer, concurred that the correct spelling was catsup and called a highly concentrated version of it "Double Cat-sup or Dog-sup." 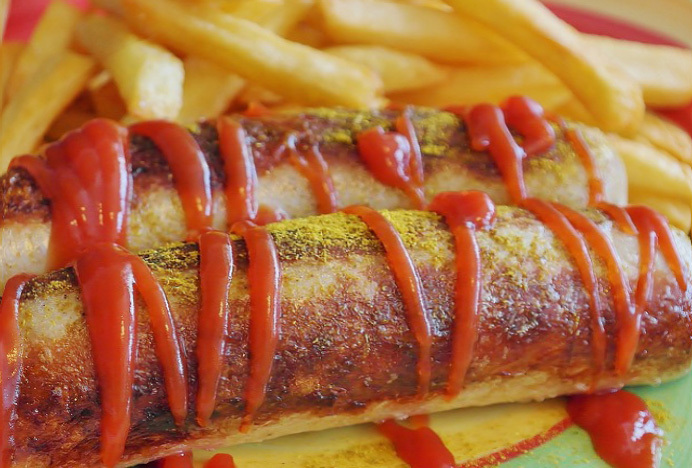 In much of the UK, ketchup is also known as "tomato sauce" (although this means a fresher pasta sauce elsewhere in the world) or (especially in Wales) "red sauce." Red sauce is the term used in Welsh English, Scottish English and some parts of England, such as the Black Country, and in South London, contrasting with brown sauce. 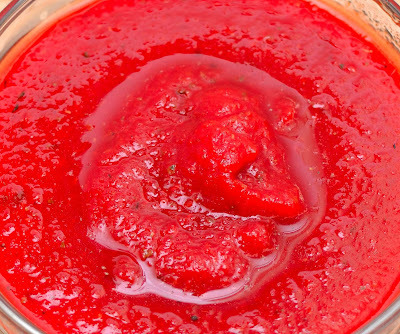 In Canadian and American English, "red sauce" refers to various tomato-based sauces commonly paired with pasta dishes, and is not a synonym for ketchup. Tomato sauce is more common in English-speaking countries outside North America, including Australia, New Zealand, and the United Kingdom. While in Canada and the United States, tomato sauce refers to pasta sauce, and is not a synonym for ketchup.